Turkey leg is a lean, tasty cut of meat. Inexpensive and with a large yield of dark meat, it is a great option for the home cook; especially when braised. 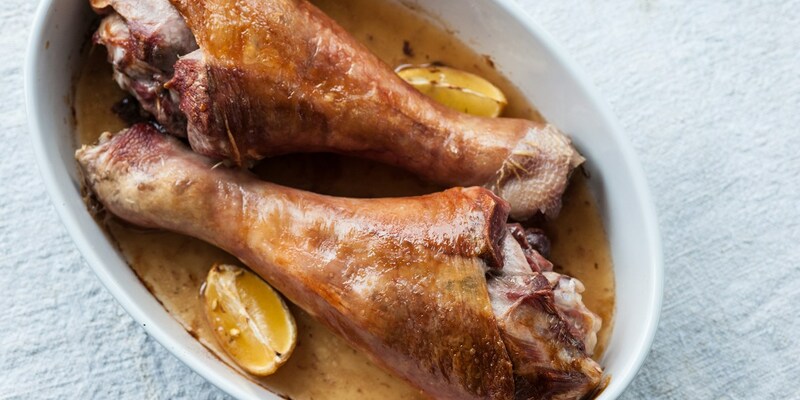 Browse this supreme collection of turkey leg recipes which includes William Drabble's turkey leg recipe served with a piquant mustard sauce, and Dominic Chapman's turkey, Stilton, chicory and walnut salad.